Aindrias Moynihan pictured at the with students from Coláiste Choilm. “I met with some of the hard working students of Cork. Amazing scientific project work being done all around the Country. Well done to all schools who participated and their teachers and mentors.wishing you all the best in the competition. 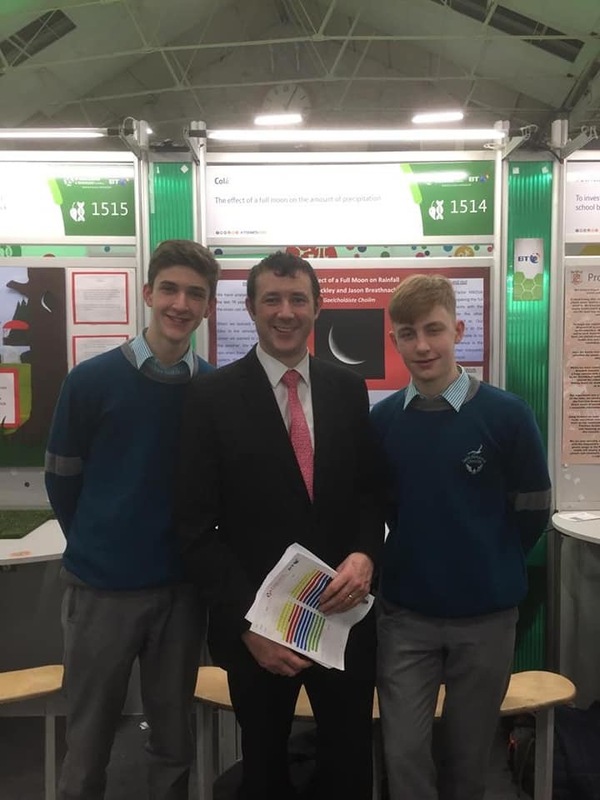 I met with last year’s winner Simon Meehan from Coláiste Choilm Ballincollig, super, inspiring to meet such young talent!” One of Coláiste Choilm’s entries ‘Building a medical device using piezoelectric polymer to monitor teeth grinding and clenching’ by Liah Cremin received a coveted Special Award. Congratulations!